It's winter and even though we live in what most would consider a milder climate, it still takes it toll on your skin. Usually as soon as the colder, dryer air comes in my hands become dry and cracked. Sandpaper would be a good description. A little goes a long way! The first time I went to apply this lotion, I used way too much. You only need a small amount to coat your hands, feet or body. It's thick! I seriously could not believe how thick the body and foot cream were. Not greasy. This lotion did not leave a greasy feel to my hands. It dissolves into your skin fairly quickly. Those cow designed logos catch our attention. Every time I walk by a bottle or jar sitting out, it reminds me to stop and put on some lotion. Smooth hands. Seriously this is the first winter my hands have not been bleeding from being dry and cracked. I been applying the lotion several times a day since around November 27th and my hands (even my knuckles) are SMOOTH! I have a hard time believing it. No rashes. Not only do I suffer from dry, cracked hands, but every winter I get an eczema type rash on one or both of my calves. Itchy and red. I've been using the body cream especially on those areas and I've not had any of my usual problems. The only downside of this product was that my husband didn't like the fragrance. It was too strong for him. BUT...as I was looking at their website, I noticed that they sell FRAGRANCE-FREE lotion. There is a $7 surcharge for shipping and handling from their website, so I'll look around at their other retailers to see if I can find a source to purchase locally. We will definitely be buying Udderly Smooth in the future, but I think our initial supply is going to last us a while! 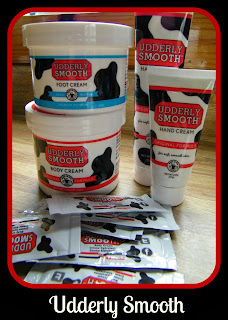 There is a long list of retailers that carry Udderly Smooth: Dollar Tree, Dollar General (4 oz. tube $2.50 at our local store), Walmart (Sadly, our local store did not carry the product), CVS, Walgreens, Kroger and lots more. You can even order their products at any pharmacy. For a complete list, click here! 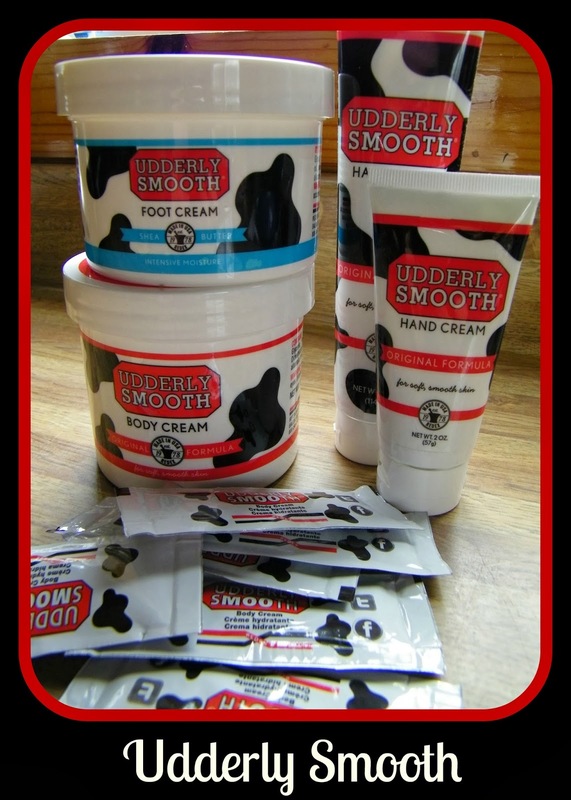 Visit Udderly Smooth's Facebook page to receive a $1.00 off coupon when you purchase TWO 4 oz. or larger products.